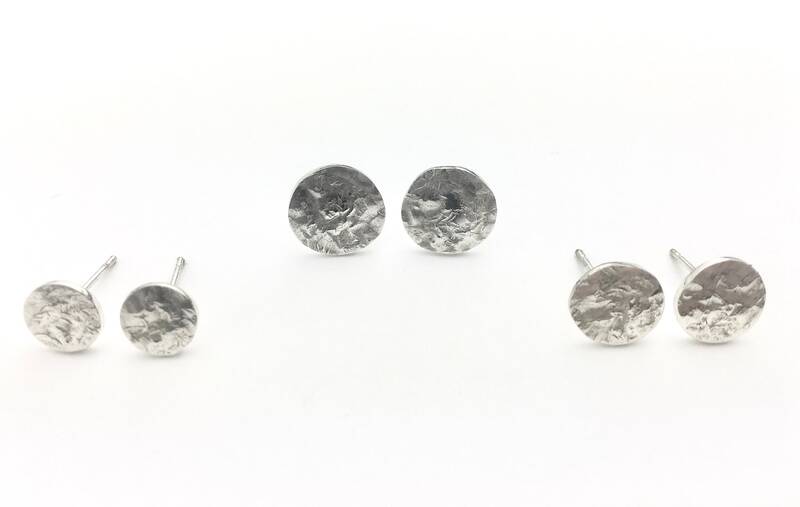 Fun and casual stud earrings feature asymmetric circles of roughly-textured Sterling Silver. Sterling posts and friction backs. Please allow for slight variations of size and texture.